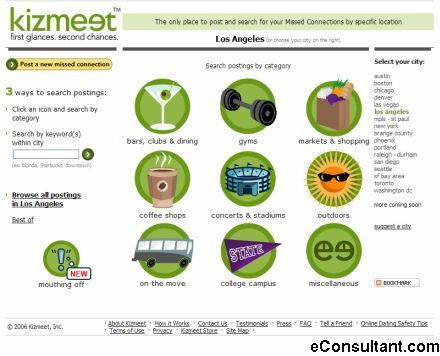 Description : Kizmeet.com is the only website entirely devoted to helping you find your missed connections. Kizmeet encounters can happen any place, any time. Maybe you chatted with someone at the market but never got their email address, or you exchanged glances across a crowded bar but were too shy to approach. With Kizmeet, you have already felt the spark, you just need to find the person again. There’s no registration. No compatibility forms. No fees.